Ever consider entering a motorcycle rally? Ever try Geocaching? How about trying out both at once! 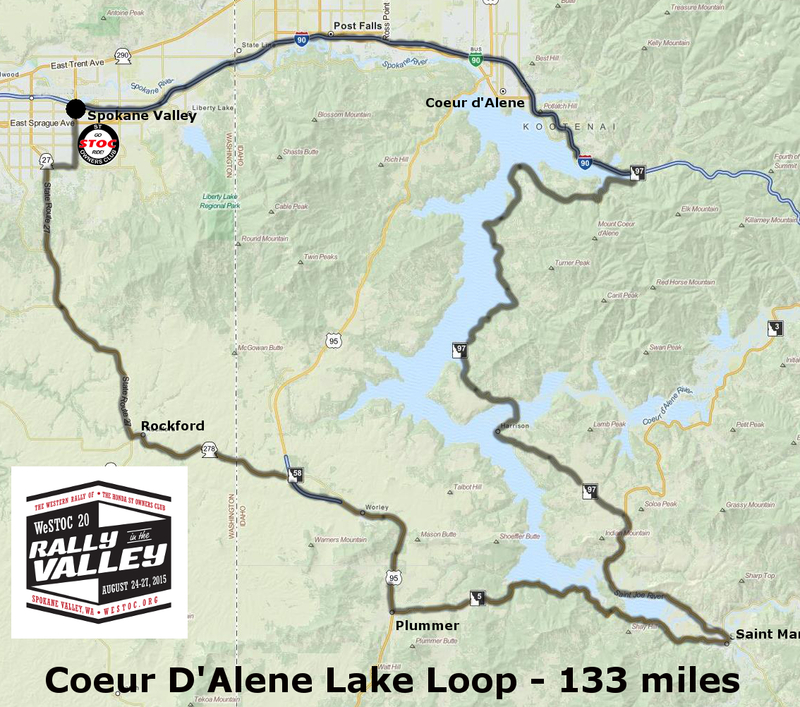 As promised earlier on the WeSTOC site we’ve put together a nice 133 mile loop around Lake Coeur D’Alene which features 10 preselected Geocaches along the route. For those of you who don’t know what Geocaching is, it’s like treasure hunting with a gps. You can learn more about Geocaching at http://geocaching.com. On the Geocaching site you enter your current location and it shows you all of Geocaches hidden around your area. (You won’t have to do this at WeSTOC as we’ve already found the 10 cache locations for you.) There are over 2.5 million geocaches hidden worldwide by Geocachers. A typical geocache is a small container, like an ammo can or Tupperware container, which contains a log book and sometimes trinkets for the kids. After you’ve found the cache you sign the log, trade trinkets, return the cache to its hiding place and then log the find at Geocaching.com. Sometimes Geocaches are camouflaged or very small containers containing nothing more than a scrolled piece of paper to log your name. You can use a standard gps or download a free iPhone or Android app for your phone. The app enables you to locate and log caches all from your phone. So the idea is to ride the route around the lake and stop and find as many of the 10 geocaches we’ve pre-selected for this adventure. You can view the route at http://westoc.org/rides/133-mile-ride. We’ll supply the list of 10 Geocaches IDs at the riders meeting on Monday night of the rally. You can go hunting on as many days of the rally as you desire. As proof of the find we ask for a picture of you holding the Geocache container at the location of the find. The person with the most finds by Thursday afternoon will be declared the winner of a prize!